I love a good picnic, but I’m usually too busy (or scatter brained) to actually plan a good picnic. Besides, I pack enough lunches for school, so when it comes to picnic time…I cheat. My family picnics are usually pretty spontaneous, like after a fun day at the Train Museum or a hike around the Botanical Garden, we’ll have a picnic. It’s cheaper than eating at the snack bar and sometimes the kids are just too grubby after playing to go inside somewhere. So I keep a blanket in the backety-back of my SUV and whenever the mood strikes for a picnic, we’re ready! We pull into our favorite fast food place, order up some lunch and hightail it to a nearby park. 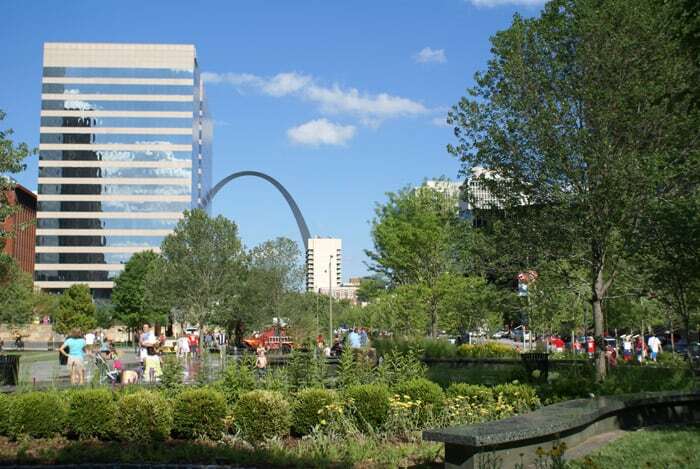 The ultimate parkgounds of St. Louis, the newly refurbished Gateway Arch Park has acres of grass for picnics. If you plan on picnicking here AND going inside the museum or Arch, remember to pack your picnic in a brown paper sack or a bag that folds flat. You don’t want to bring a big ol’ picnic basket on that tiny Arch tram…and you’ll have to clear security too. It’s not as strict as TSA, but you’ll need to pass through a metal detector, so no knives! One of the best parks in the city proper, CityGarden is a joy to visit. 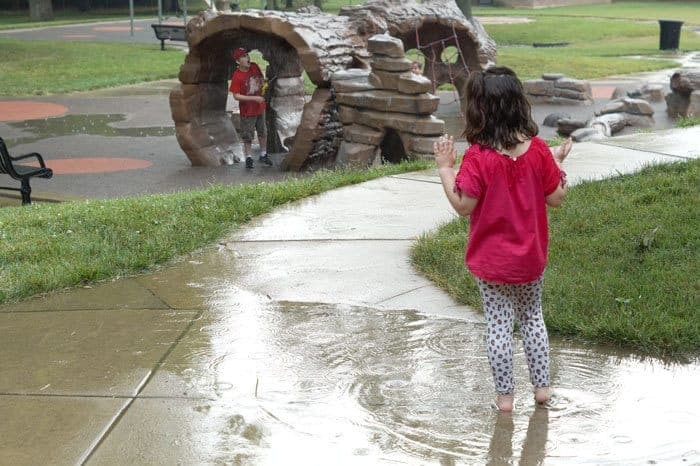 Two blocks of city park smack in the middle of downtown, full of outdoor art and splashy fountains that your kids can run through. 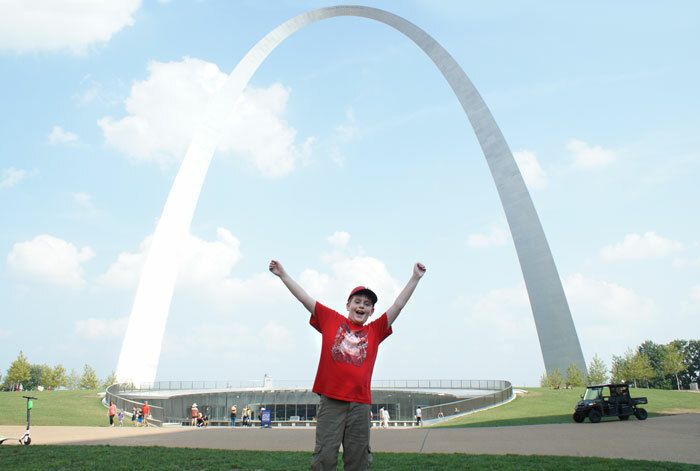 It’s close to the Arch, Kiener Plaza, the City Museum and Busch Stadium! You’ll often find food trucks hanging out near by during the lunch hour, and there’s a Kaldi’s Coffee on the side of the park with a surprisingly good full menu. But you can save a couple bucks and just pack that picnic. 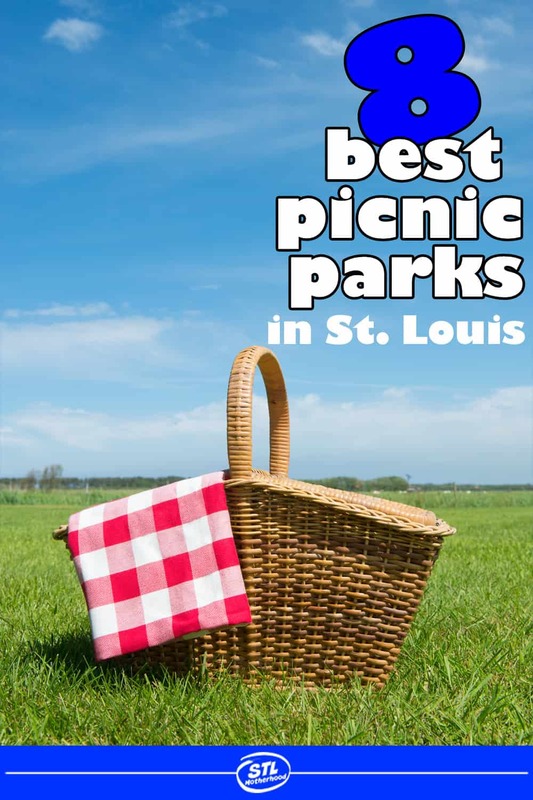 You can’t have a list about picnicking in St. Louis without including the grand daddy of them all, Forest Park. 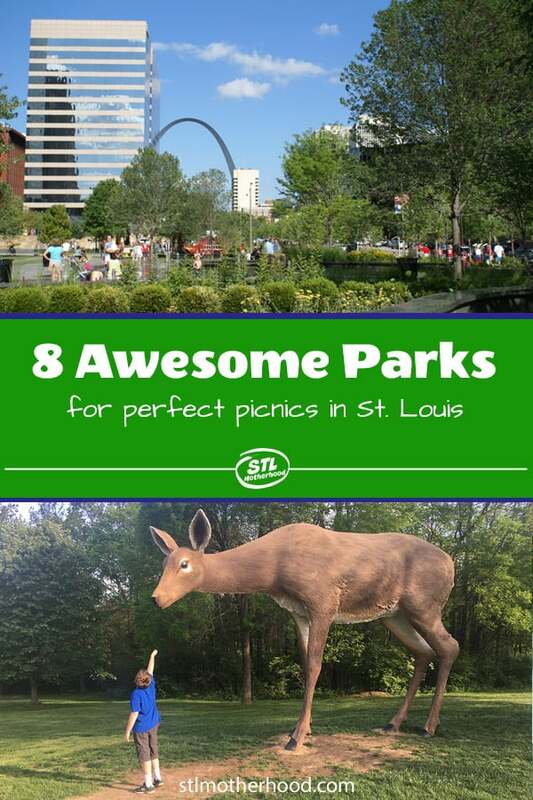 There are plenty of picnic grounds and of course the St. Louis Zoo, the Science Center, History Museum, Art Museum and the fabulous Variety Wonderland Playground. Though all of the venues in Forest Park have free admission, food is not cheap. So plan that picnic! There’s some good fast food options on Hampton and on Lindell, just blocks from the park…plus it’s just a hop and skip from the Delmar Loop. This Des Pere park is small, but it’s got it all: a nice picnic area and a super cute playground with faux logs and “rock” caves to play on. It’s practically across the street from the Museum of Transportation. 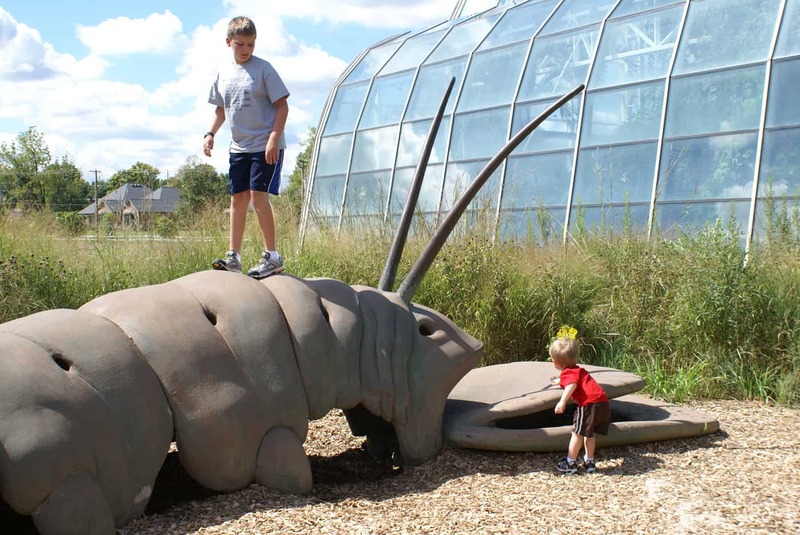 This is another great park for introducing your kids to art in a casual way. Laumeier is full great picnic spots under massive pieces of outdoor modern art. There’s no playground, but there’s plenty of trails and neat things to explore in hidden corners of the woods. There’s actually two halves to this park, one with a playground and splash park and the other with lake access. 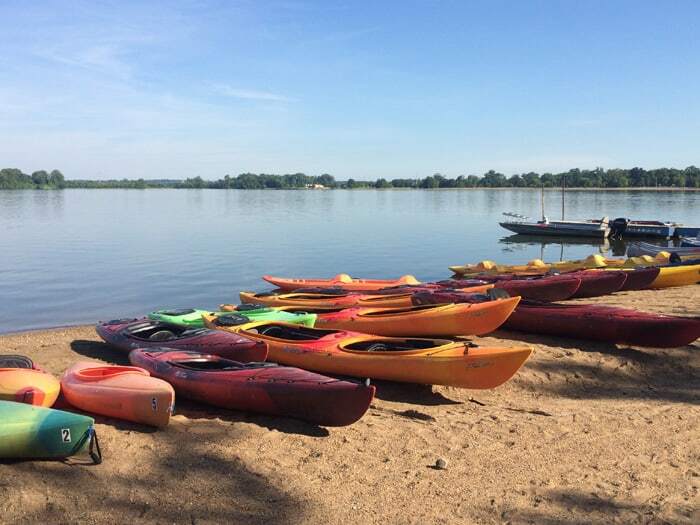 If you’re up for more adventure with your picnic, you can rent a kayak or canoe and paddle around the lake! Creve Coeur Park is also home to Go Ape Tree Top Adventure, a fantastic ropes course for adults and kids over 10. This wonderfully woodsy St. Louis County park with twisty narrow roads will make you think you took your car on a hike! 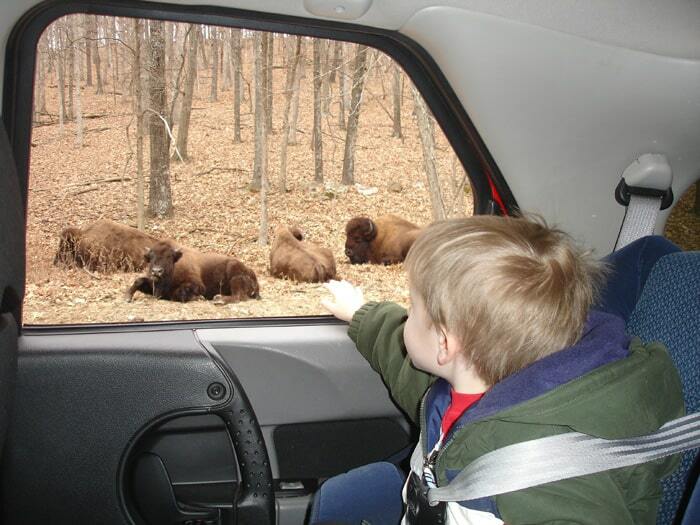 The park is actually a wildlife preserve full of bison and elk that you can spot from the comfort of your car. There’s no playground at Lone Elk, but there are picnic benches and grills. The boys and I like to have our picnic lunch tailgate style here–we pull off onto one of the quiet parking lots and wait to see if elk wander by. After your picnic, check out the eagles and falcons at the World Bird Sanctuary next door. 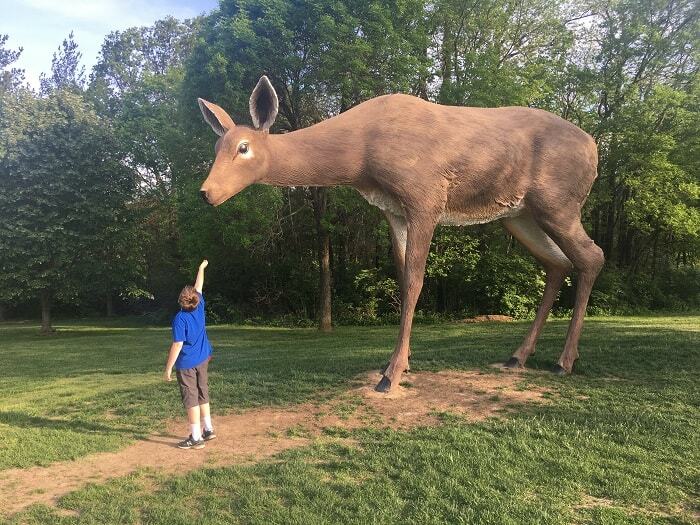 This is one of the most interesting county parks you’ll visit! 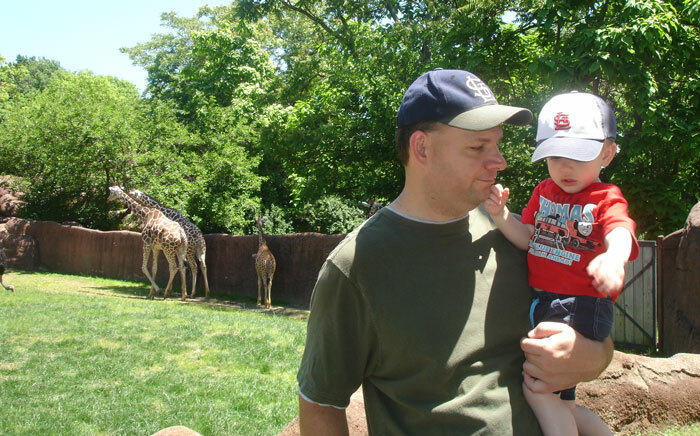 It’s home to the Butterfly House, the St. Louis Carousel, a historic village AND one of the better playgrounds in the county. You’ll want to grab a picnic table at this park because of the geese, but other than that it’s pretty awesome. Please Note: there’s no picnicking in the Missouri Botanical Garden except during the Whitaker Music Festival. Don’t even try it.